Yesterday a loud thud broke the silence of our morning meditation. Playful little Hei-Hei had jumped up on the end table and pawed the collection of rocks in the pottery bowl. Somehow he managed to knock one out of the bowl and it had hit the hardwood floor. 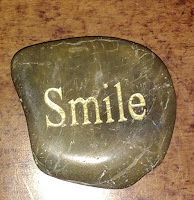 Curious, I looked for it after meditation and found the stone underneath the couch. That hidden discovery brought a smile as that rascally kitten had chosen to plunk SMILE out of the bowl. I smiled, grateful for the reminder to smile throughout the day. It was a heads-up as there were moments of unexplained sadness that seemed to permeate the atmosphere. I found myself feeling teary-eyed for no good reason. At lunchtime, another smile coincidentally came my way while eating at a nearby diner. 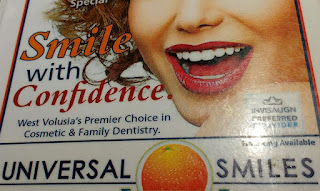 When I looked down at the menu, I had to laugh at an ad: SMILE with CONFIDENCE. 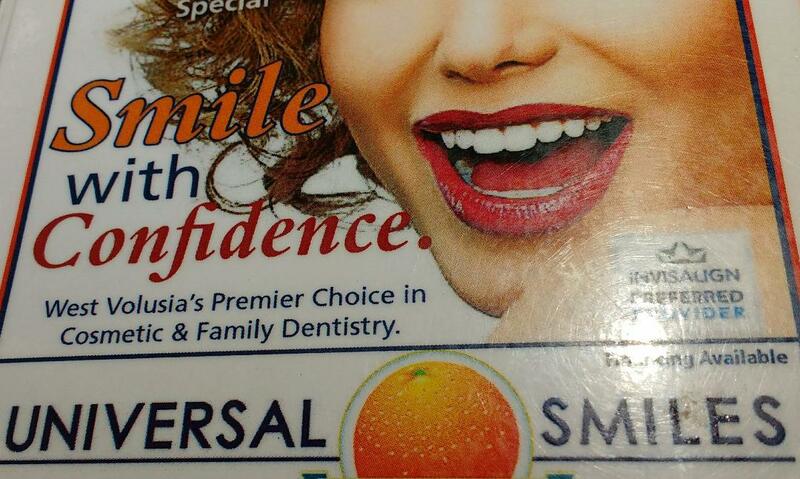 UNIVERSAL SMILES. I pointed it out to Elliot. That's what the world needs most today. A smile. Years ago, an angel message conveyed the acronym for S.M.I.L.E: "See ME in love everywhere".